Known as the Calpheon Republic. TRANSLATION BY: WORLDWIDEGAMEWATCHERS. Lore is subject to change until Daum releases English versions. This lore was translated by WWGW from the official Daum Korean site. Initial clean up by BDRP staff, thank you for the tip off Borskk! * We do not know if Valencia uses the same calendar yet. The conflict between King Nesser and the Akman tribe was inevitable. 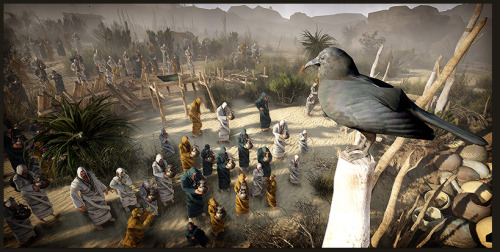 The Akman tribe existed even before the founding of Valencia and called themselves the "protectors of the ancient civilization" while refusing to be part of any nation or power. They constantly clashed with Valencia over the stone chambers and ancient artifacts that were sprawled around the desert. The 14th king of Valencia, Imur Nesser, considered the task of bringing the Akman tribe in to the fold of the Valencian Kingdom to be his sole duty. King Imur was infamous for his short temper -- a temper that was tested when his multiple attempts to strike a deal with the Akman tribe were declined. In the end, the king snapped and sent his army, which resulted in a one-sided massacre. But the Akman tribe did not yield even in the face of their mounting casualties. And just like that, the Akman tribe was no longer to be seen. Disaster followed, striking the far west end of the continent almost immediately. Starting from the merchants of Valencia, the plague named the Black Death (after the black rotting flesh of the infected) swept through the whole continent. Even King Imur bore witness to the plague through the loss of his beloved Queen. It was then that rumors started to spread, all pointing in one direction: King Imur incurred the wrath of their god, Aal, for slaughtering the Akman tribe. Far away, foreign kingdoms branded Imur as a demon, claiming that the disaster was brought on by the Valencians due to their use of the Black Stone. 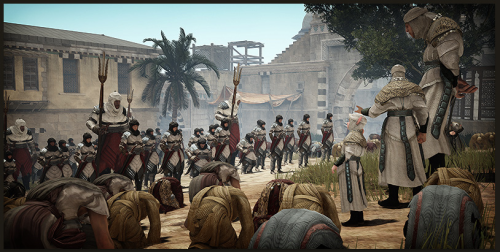 Elion priests in Calpheon started their propaganda to occupy the Black Desert, the key location for digging up Black Stones, to prevent further disaster. 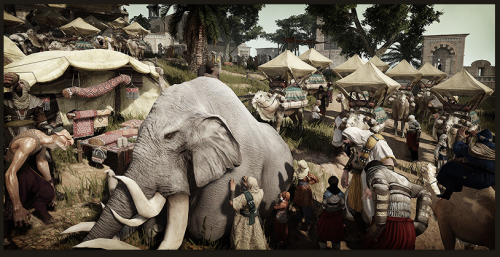 The Calpheon Expedition Force marched towards Valencia with confidence, but the Black Desert proved to be far more perilous than they expected.They barely made it across the desert, and when they did, the Valencian army was armed and ready. The rag-tag alliance mustered up by Calpheon didn’t stand a chance against Valencians united under a single king. But, King Dahad Seric of Calpheon was stubborn and refused to give up the fight, prolonging the war for 30 years until an unexpected turn of events. The sandstorm that engulfed both armies was unprecedented even in Valencia. 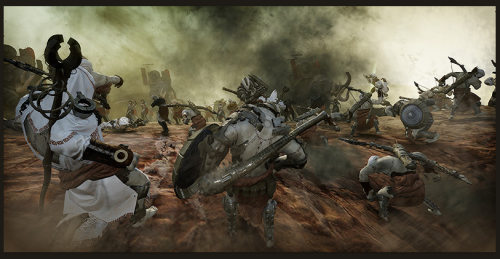 Calpheon's Expedition Force lost tens of thousands of men, rendering them unable to set foot in the desert again. The bloody conflict was ended by a force of nature. The cruelty and bloodshed of war found itself buried under the sand, and silence settled over the desert once more. King Imur named the battleground the Red Desert* in the name of his fallen soldiers and thanked his god Aal for his victory. 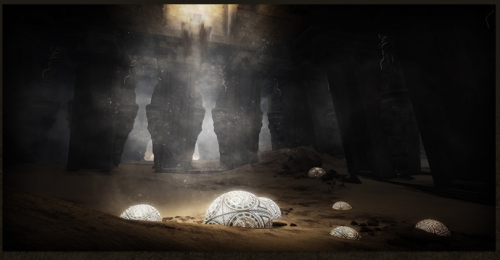 The King's words that day would go on to become the guiding principle of Valencia: the desert is Aal’s domain, the oasis his hospitality, and the Black Stone his bountifulness. * Sources currently differ on whether it's Red Desert or Crimson Desert. WWGW used "Crimson" but all previous sources have indicated Red Desert to be the name. Due to the Black Death, long war, and the weakened leadership that followed, small scale revolts became commonplace. When the health of the exhausted King became critical, the symbol of the Valencian kingdom, the golden key, was passed on the the 14th king of Valencia, Torme Nesser. Torme Nesser was the oldest king to take up the crown, already with three sons and one daughter. King Torme Nesser was a wise and well-learned ruler. Under Torme's reign, Valencia went through an age of great advancement in knowledge -- such as astronomy, religion, and many other areas. The kingdom’s wealth grew in thanks to the abundant amount of Black Stones in the desert. Thus, Valencia was able to become a wealthy and powerful nation unrivaled by any other. The people of Valencia put the horrors of the past behind them and enjoyed their plentiful lives while serving their one and only god, Aal. After King Torme, a king known for his poor health, passed away, the crown was bestowed upon the his first son. Sahazan Nesser became the 16th king of Valencia. According to Torme’s will, Barhan, his second son birthed by a foreign lover, became the general of Valencia’s army. His third son, Manmehan, was put in charge of the law, and his young daughter, Saya, was made the keeper of Aal’s scriptures. The people of Valencia were pleased and proud of their kingdom. But peace didn’t last. Prince Barhan, the second son, learned from his mother that King Sahazad did not possess the Golden Key. The Golden Key was passed down from the first king of Valencia for over a thousand years. It was the symbol of the Valencian monarchy -- one that only the king can and must wield. No king can be truly worthy without it. 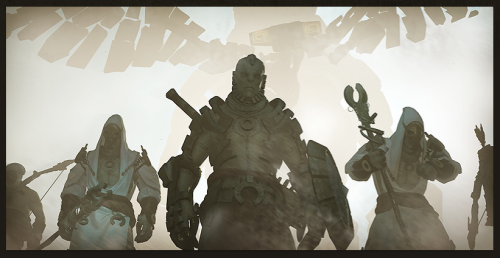 Making matters worse, the desert found itself alive once more with suspicious movements of ancient giants, and the sudden reappearance of the Akman tribe, thought to have been wiped out. Barhan believed they knew the whereabouts of the missing key. What was once the integral part of Valencia’s founding legend, a key wrapped up in secrecy, now threatens to tear the kingdom apart.